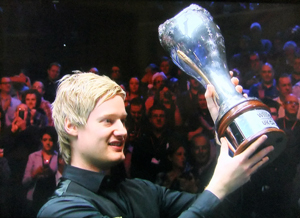 The finest player ever to have come from Australia, former World Under-21 Champion Neil Robertson has now added the World Professional Championship to his CV by lifting the trophy in 2010 with an 18-13 victory over Graeme Dott. The most obvious string to Neil’s bow is unquestionably his superb long potting which is arguably the best in the world at present having taken over from the great Mark Williams in that regard. 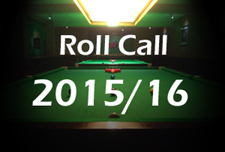 Another asset that has been noted is also his ability when playing with the cue ball tight to the cushion, indeed he is probably the best that I have seen at this particular shot since 1991 champion John Parrott. Furthermore the quality of his tactical game has also improved beyond recognition since he first joined the professional ranks and but for a tendency to run out of position more than he would like, it would be hard to pinpoint any weaknesses in his game. An impressive junior, Neil’s early honours included victory in the Australian U-18’s Championship at 14 years of age. Within two years he had turned professional and made impressive runs in both the World Amateur Championship and the qualifying stage of the professional equivalent. Following a spell off the tour however, it was to be the 2003/4 season where Robertson would establish himself in the professional ranks. Having won the World Amateur Championship in New Zealand to reclaim a spot on the tour, he not only reached his first ranking event quarter-final but also won the Benson & Hedges Championship, earning him a spot in the prestigious Masters tournament. Although he lost his opening match 6-2 to local hero Jimmy White, Robertson had demonstrated his talent and his other performances moved him up to 68th in the world. The following season was to be even better as he proved to be a real handful in the qualifying stages of events, making it to the final stages of all but two tournaments despite having to win at least two matches at each to do so. Making the World Championship in Sheffield for the first time capped off a strong season and although he was to lose 10-7 to Stephen Hendry, his run helped him to a new high of 28th in the rankings. 2005/6 showed yet more improvement as he recorded his best result to date at the World Championship, losing narrowly to Graeme Dott at the quarter-final stage. Several other good results helped him move into the top 16 for the first time and meant that the Australian would no longer have to qualify for the final stages of events. Neil’s big breakthrough was to come at the 2006 Grand Prix in Aberdeen where having successfully negotiated the new round robin phase, he hammered Ronnie O’Sullivan 5-1 in his quarter-final stage. Further victories over Alan McManus and then Jamie Cope in the final secured his first ranking title and confirmed his status as one of the sport’s best players that season. He went on to show that this was no fluke as he soon added the 2007 Welsh Open title to his collection with a victory over surprise finalist Andrew Higginson in an epic final. Although he was to lose in round two of the World Championship he was now up to a career high ranking of number 7, ensuring that he would avoid the game’s strongest players until the latter stages of events. This however did not seem to help as Robertson experienced a poor 2007/8 season, reaching just one quarter-final at the Northern Ireland Trophy. Provisionally ranked outside the top 16 as a result, he began the 2008/9 season with a 5-2 defeat to Preston’s Ian McCulloch, also in Northern Ireland, and questions were asked as to whether Neil could arrest his slide. Though Neil’s performances at the subsequent events in Shanghai and Glasgow were not to prove any better, he returned to form spectacularly at the inaugural Bahrain Championship in November 2008. Recording wins over Marcus Campbell and Stephen Lee to reach the quarter-finals, he then raised his game further to defeat world number two Stephen Maguire 5-2, before seeing off young Mark Allen 6-4 to reach a third final. There he faced Welshman Matthew Stevens, another player who had been struggling for form and having trailed 7-6, Neil won the last three frames to take the title 9-7 and move back up into the provisional top 16. Since then he was able to maintain his improved form, reaching the semi-finals of the Welsh Open and the quarter-finals of the Masters. At the season-ending World Championship in May he managed to make the semi-finals for the first time in his career. Having defeated Steve Davis, Ali Carter and Stephen Maguire to get there however, he ultimately lost out 17-14 to Shaun Murphy in a thrilling match despite a stirring comeback from 14-7 behind. Neil got his 2009/10 season off to an inauspicious start as he crashed out of the season-opening Shanghai Masters tournament at the last 32 stage with defeat to Ken Doherty, but he more than made up for this slip up at the Grand Prix in Glasgow. There he defeated Gerard Greene before eliminating Doherty and friend Joe Perry to book a semi-final clash with defending champion John Higgins. Not only did this prove to be the match of the tournament but it also turned out to one of the best short-format matches staged at a televised ranking event as the two traded breaks of 114, 90, 66, 60, 71, 130, 128, 84 and 57 amongst others. Despite the heavy scoring however, the match was ultimately to be decided in a scrappy 11th frame which was to go all the way to the final black. Though Neil looked to have left it hanging over the green pocket following a failed attempt at a double, the black ran just far enough onto the cushion to leave John with an almost impossible shot which he duly missed and followed with a concession. Having produced arguably the best performance of his career to date, some wondered what he would have left for the final against Ding Junhui but with a 9-4 victory he had comprehensively silenced the doubters. As well as scoring heavily, his safety game was arguably all the more impressive as during the second session in particular, he dominated the tactical exchanges against his Chinese oppoonent. Although this result lifted Neil to a career-high of third in the provisional rankings, the remainder of the season up until the World Championship was to be more difficult as he failed to progress beyond the last 16 stage of a ranking event. He did though experience the thrill of recording his first career 147 break at the China Open against Peter Ebdon, earning £20,000 in the process, although he lost the match 5-1. Having reached the semi-finals of the tournament a year previously, Neil was one of the fancied men coming into the 2010 World Championship and began his campaign with a hard fought 10-5 win against Fergal O’Brien to book his place in the last 16. His next match however was to provide a genuine scare as coming up against qualifier Martin Gould, the Australian was stunned by an incredible performance by the Pinner Potter which saw him open up an 11-5 lead after the first two sessions, needing just two more frames to progress. Few gave Neil much of a chance at this stage, indeed he later confessed to having made arrangements to check out of his hotel at that point. During the third and final session however, there was an incredible turn of events which saw Martin struggle with his game from the off, while Neil was looking more fluent and crucially, keeping Martin under pressure and not giving him any easy opportunities to score heavily. As a result Robertson was able to take each of the four frames prior to the mid-session interval and eventually manage to come through a 13-12 winner, becoming only the second man ever to recover an 11-5 deficit during a best of 25 frames match after Shaun Murphy back in 2007. From here Neil continued his impressive form with a comfortable 13-5 victory over Steve Davis to reach his second consecutive Crucible semi-final before seeing off 2008 finalist Ali Carter to book a final date with Scotland’s Graeme Dott. The final was a real battle as both struggled for fluency, but it proved to be the second session which made the difference as Neil won six of the eight frames played to turn a 5-3 deficit into a 9-7 lead overnight. Graeme did not give in but Neil was always able to just about keep his nose in front and eventually pulled away to become the first Australian to lift the World Championship trophy, surpassing the achievements of the great Eddie Charlton. 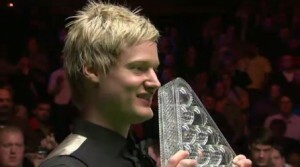 By winning the tournament Neil also ensured that he would finish the season ranked at number two, a new career high. 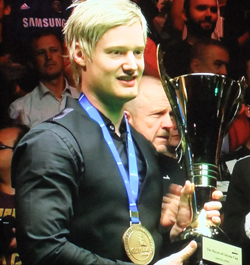 As the 2010/11 season began, many wondered how Neil would handle his newly-earned world champion status but he soon answered any questions by winning the second major ranking event tournament of the season, the inaugural World Open in Glasgow. 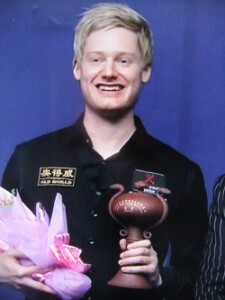 Having already won the tournament twice under it’s former guise of the Grand Prix, Neil looked confident throughout, particularly as he defeated both Ricky Walden and Mark Williams to reach the final where he outplayed Ronnie O’Sullivan to take a 5-1 victory and his sixth ranking event title. Not only was the win one that maintained his 100% conversion record from ranking event finals but it was enough to see him become world number one, just the eighth player to so since the creation of the world rankings back in 1976. This was a fitting way to cap a week of fine performances which only served to underline his status as the world’s best player at that time. From there however Neil was to experience a low key second part of the season during which he progressed to just one further quarter-final at the UK Championship before losing 9-7 to Shaun Murphy. Neil was also to become the latest victim of the ‘Crucible Curse’ when he lost out 10-8 to the in-form Judd Trump in the opening round of his World Championship defence in Sheffield. Following a somewhat disappointing season as world champion, Neil was back to his best in 2011/12 as he won his first PTC title at the PTC6 event in Warsaw, before following this up with victory in the PTC8 event in Ireland just weeks later. 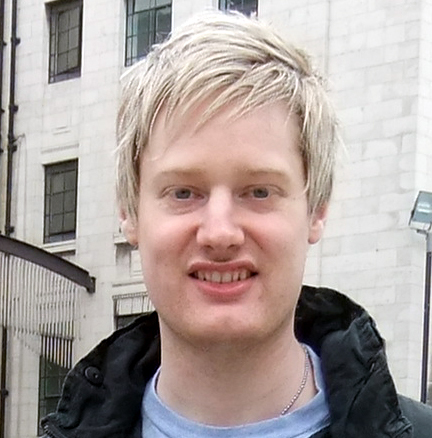 Runs to a further semi-final and two quarter-finals amongst others helped ensure that Neil would finish up third on the Order of Merit and easily secure his qualification for the Grand Finals in 2012. Elsewhere Neil was also to impress in the season’s full ranking events, notably reaching his first semi-final in China at the Shanghai Masters, whilst also reaching the last four for the first time at the UK Championship before falling to eventual winner Judd Trump. The highlight of his season however was still to come as at the Alexandra Palace in January he defeated Mark Allen, Mark Williams and then notably Judd Trump, to reach his first Masters final. There he would face Shaun Murphy, who at the time was bidding to add the title to his previous world and UK crowns to complete the career ‘triple-crown’ of snooker’s three biggest titles. Neil however was to prove too strong and despite the threat of a comeback as Shaun closed from 4-9 to 6-9, the Australian was to clinch a 10-6 victory in the next frame and confirm his status as one of the game’s strongest all-round players in 2012. From there, Neil also reached the final of the PTC Grand Finals in Galway, but was to lose his first televised final to an inspired Stephen Lee. A quarter-final run at the China Open followed, before he lost 13-10 at the same stage of the World Championship to eventual winner Ronnie O’Sullivan. Neil made a low key start to the 2012/13 season, a disappointing defeat to Mark Davis at the last 16 of his home tournament, the Australian Goldfields Open, following a last 32 defeat to Jamie Burnett at the Wuxi Classic. His revenge against Jamie was to come in the final of the ET2 event however, as Neil came through a 4-3 winner to take his first title of the season in Poland. A quarter-final run was to follow at the ET3 event in Antwerp, before Neil then defeated Ryan Day, Matthew Stevens, Lu Haotian and Shaun Murphy to reach the final of a full-ranking event in China for the first time, at the International Championship. Though he was to lose out 10-8 to incumbent world number one Judd Trump, his performances over the course of the week had reminded everybody of his ability, before he followed that up with another strong run at the next PTC event in Sofia, losing to John Higgins in the semi-finals. Given his form, many had tipped Neil to complete snooker’s ‘triple crown’ at the UK Championship in York and as he made four century breaks during his opening match win against Tom Ford, he looked good to justify that faith. His tournament was to end at the quarter-final stage however, as Mark Selby recovered from 4-0 down to oust the Australian on his way to his maiden UK title. Neil’s form was to remain consistent in 2013, a strong defence of his Masters title seeing him defeat Ding Junhui, Mark Allen and Shaun Murphy to reach the final, where he lost out 10-6 to that man Selby again. Semi-final runs would follow at the German Masters and Haikou World Open tournaments, before he went one better at the PTC Grand Finals, losing out in the final for a second successive season, this time to Ding Junhui who won the last four frames to take a 4-3 victory. That elusive ranking event title was to follow in Beijing however, as he defeated Jimmy Robertson, Mark Allen, Marcus Cambell, Stephen Maguire and finally Mark Selby to capture his seventh career victory. Unfortunately for Neil, the season was to end on a disappointing note though as he lost his opening match at the World Championship, 10-8 to Robert Milkins in Sheffield, as the match slipped away from him during the second session. The 2013/14 season proved to be another hugely successful one for Neil, as he captured a further two ranking event titles, beginning with the Wuxi Classic early in the season, a 10-7 victory against John Higgins in the final enough to claim the title. 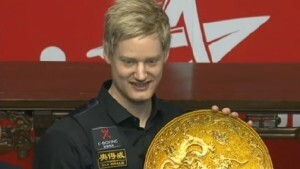 His biggest title of the campaign however would come at the UK Championship in York, where he defeated the likes of Joe Perry, Stephen Maguire, Stuart Bingham and finally defending champion Mark Selby, to win snooker’s second biggest ranking title for the first time in his career and complete his sweep of snooker’s ‘triple crown’ events. Elsewhere, he was also able to make it to the final of his home tournament, the Australian Goldfields Open for the first time in his career, before losing to Hong Kong’s Marco Fu, while he also overcame illness to reach the final of the China Open late in the season, ultimately coming up short against Ding Junhui. Perhaps his biggest achievement of the season however was not to be winning a tournament, but his feat of compiling a remarkable 103 century breaks across the course of the season, including a 147 at the Wuxi Classic qualifiers. 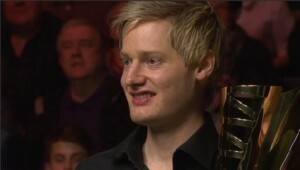 As he headed into the season-ending World Championship on 93, the possibility of him making the topping 100 looked to be in the balance, but he was eventually able to make it during his dramatic comeback against Judd Trump at the quarter-final stage, a memorable celebration revealing just what the achievement meant to him. 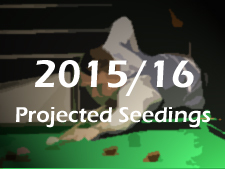 Ultimately, his bid for a second world title was to be ended at the last four stage by Mark Selby, as he lost out in one of the most high quality semi-finals seen at the Crucible in many years, but it was still a strong season on the whole from a player at the top of his game. Neil was to make a strong start to the 2014/15 season as he defeated close friend Joe Perry 10-9 to successfully defend his Wuxi Classic title, before finishing as runner-up at the Australian Goldfields Open to Judd Trump. Following defeat to Trump, he took the decision to adopt a vegan diet and looked to be reaping the rewards at the Masters as he knocked out defending champion Ronnie O’Sullivan to reach the final, only to lose heavily to Shaun Murphy. He did go on to end what had become a mini-title drought at the Gdynia Open in Poland, but was to suffer disappointment at the end of the season as he lost out to Barry Hawkins at the quarter-finals of the World Championship, having at that point already hit four 140+ breaks during the tournament and established himself as one of the men to beat in Sheffield.